The Taoiseach has given details of payments totalling IR£39,000 made to him in the early 1990s when he was Minister for Finance. In his first detailed interview since the payments controversy began six days ago, Mr Ahern has told RTÉ News that a group of friends made two separate payments to him in December 1993 and in 1994. The Taoiseach said he regarded the money as a loan to cover the costs of his legal separation, but he conceded that no repayments have yet been made and no interest has been paid. The first payment to Mr Ahern in December 1993 was for IR£22,500. The money came from eight associates of the then Minister for Finance. The eight are: Paddy Reilly, Des Richardson, Padraic O'Connor, Jim Nugent, David McKenna, Fintan Gunne, Mick Coillins and Charlie Chawke. The second payment in 1994 was for IR£16,500 and was from a separate group of friends: Joe Burke, Dermot Carew, Barry English and Paddy Reilly. Speaking in an exclusive interview on RTÉ's Six One News, the Taoiseach said these payments were not seen as loans by his friends. They were helping him out at a time of need, he said. However, he insisted that he had always regarded them as a 'debt of honour' that he would repay with interest. Mr Ahern said these friends were personal not political. He said they had assisted him during a dark, sad time when his marriage was breaking up and he had legal bills he could not afford. He had taken out a loan to settle these bills. He said his wife Miriam was in charge of their joint bank account into which he had savings of some £50,000. 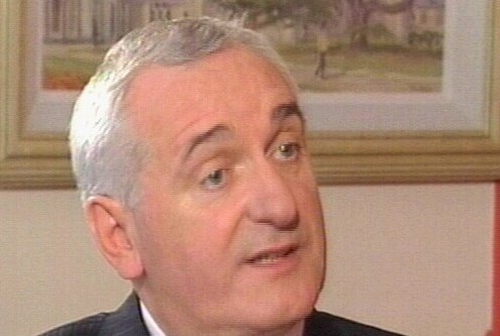 Mr Ahern separated from Miriam in 1987 and said legal proceedings were protracted and did not conclude until 1993. The Taoiseach appeared emotional as he went on to say £20,000 of those payments from friends were put towards providing for the education of his two daughters. He said he was not comfortable speaking about these matters in such detail and added that Georgina and Cecilia had gone on to become financially sufficient in their own right. 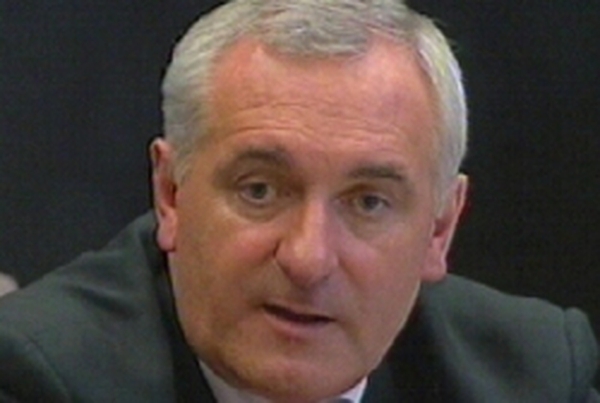 Mr Ahern went on to say he had 'broken no codes - ethical, tax, legal or otherwise'. The Taoiseach said he had given all of these details in confidence and he would have preferred it to remain his private business. But he said it was unsustainable as Taoiseach of the country with 50 journalists running after him each day like pied pipers. Speaking about the leak to the media, which he said had nothing to do with planning or rezoning, he said he didn't want to take anyone's character but someone had taken his. The Taoiseach said that after 29 years in politics, he had as good a record as there is.